These will be posted in sheet form and will need to be cut out with small/medium sharp scissors. 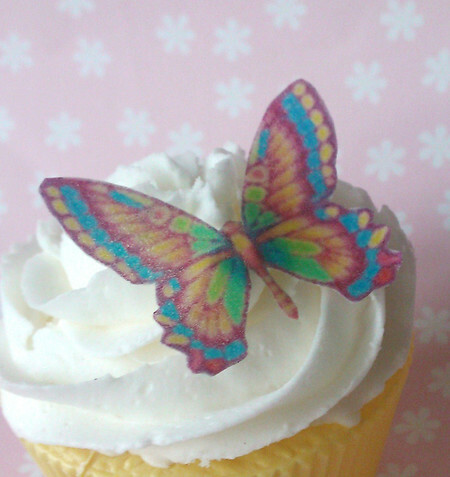 These cupcake toppers are printed on edible wafer paper. They have a shelf life of 12 months. Ingredients: potato starch, water and vegetable oil, food colour, vanilla, sucralose. Gluten free, nut free and dairy free and less than 4 kj per topper. Gently bend down the middle of the body and place into your creamed cupcake or cake for an instantly decorated cupcake/cake! BANK DEPOSIT OPTION: Please put your surname and MADEIT as reference when making your bank deposit payment. I have a few sites I sell through and this makes it easier for me to locate what site you purchased from.